Oklahoma is a huge state with a Wild West history, a ghost on every street corner, and a UFO under every sand dune. From terrifying murder stories that sound like something straight out of Twin Peaks to a large population of heart-eating vampires and Satanists who conjure portals and bend people to their will, there are a lot of creepy Oklahoma urban legends that circulate around the state. Oklahoma ghost stories are truly one of a kind. Even your standard haunted hotel myth comes with its own dark and unusual twist. While you have your Satanists in every state mythos, it's not everywhere they allegedly sacrifice their victims to alligators. If you want to learn more about supposed government conspiracies, terrifying creatures, and a whole host of Oklahoma haunts, read on. Something strange is happening among the sand dunes in Beaver, OK. Records of strange disappearances go back to the 1500s. In one report, men traveling with the explorer Francisco Vasquez de Coronado disappeared from the dunes in flashes of green lightning. This area is called the Shaman's Portal, and Native Americans have been avoiding it for centuries. No one is quite sure what it is. Some think it is a portal, others say it's some kind of electromagnetic anomaly, perhaps similar to the Bermuda Triangle. In the 1990s, Dr. Mark Thatcher studied Shaman's Portal for three years after receiving strange reports from an Oklahoma State University archeologist, only to be chased away from the site by men in suits with government credentials. This has led many to believe it is the sight of a UFO crash and there is an alien craft buried beneath the dunes. Allegedly, anyone who learns anything about it disappears. Camp Scott, located in Locust Grove, OK, had been a peaceful Girl Scouts retreat for decades. That was, until the summer of 1977, when three Girl Scouts were brutally murdered. Three girls (ages eight, nine, and ten) were pulled out of their tent, beaten, strangled, and sexually assaulted. Their bodies were left on the trail leading to the camp to be discovered by a counselor on her way to the showers the next morning. Two months before the murders, during a staff training session, a counselor's tent was broken into and a note was found declaring that three girls would be murdered. Unfortunately, this was dismissed at the time as a prank. People reported odd animal noises, lights, and two suspicious men near camp on the night of the murders. The murders remain unsolved and no Girl Scouts have camped there since. Right outside of Spencer, OK, you'll find the remnants of a structure that's full of all sorts of Satanic symbols. This concrete foundation with stairs leading to a spooky basement is called the Purple Church. According to legend, the Purple Church has a long history of bring used for dark purposes. It's said that Sean Sellers, a teenager that killed both of his parents and a convenience store clerk, carried out disturbing Satanic rituals there. They say that when a full moon coincides with a Saturday, Satanists gather at the Purple Church to sacrifice virgins. The place is allegedly crawling with paranormal activity and is known for being filled with ghosts, floating lights, and the stench of death. Visitors have been chased away by people in robes, armed men, and even trucks with their headlights off. It's said that nails are thrown into the nearby road to leave people in passing cars stranded and helpless. 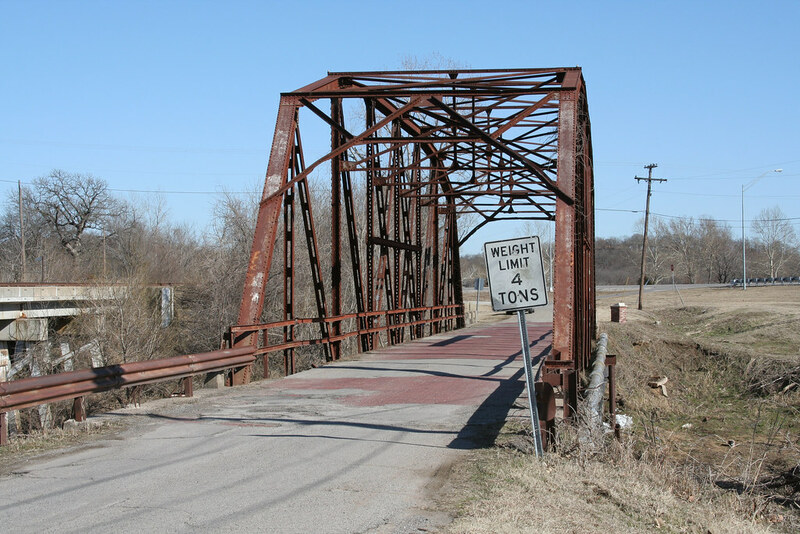 While tales of crybaby bridges are spread all across America, there are a surprising number of them in Oklahoma. The most famous ones in the state are in Alderson, Moore, Bixby, Kellyville, Lawton, Schulter, and Vinita. In all of these myths, a mother either murders or accidentally kills her children while crossing the bridge. Many claim that at these spots you can hear babies crying, mothers screaming, and that you can even interact with the ghosts of the tiny dead children who haunt the bridges.